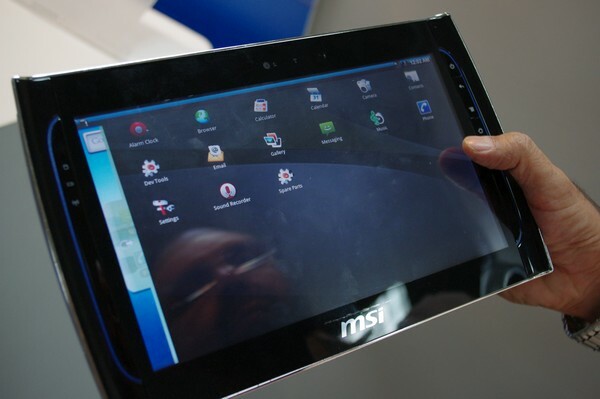 At the Computex, MSI reveals new product that is based tablet NVIDIA Tegra platform 2 with the Android operating system. This tablet screens 10 inches type berukurang capacitive touchscreen. The tablet has a USB port and video out. In addition to MSI Windpad 100, there is also news about the [new tablet-based Windows 7 MSI Windpad 100]. MSI plans Windpad device 110 is priced at 399 USD at the end of this year.